I make Christmas Ornaments for a living. I have an idea that is a tube that is 18" tall, 6" dia. and I need it to slowly spin at around 5-10 rpm. Please keep in mind that I need this to be as cheap as possible. This design is versatile and can accommodate any method. It will spin easily because it will be spinning on a needle point, and there will be a 2"H hollow base for any parts. I have plans for using gears or pulleys, but I was hoping that I could alter the speed of the motor somehow instead. Thanks for any advice and please keep in mind that I need to do this as cheap as possible. Theoretically, it's possible, but in reality, you won't be able to without your own control circuit, or doing something that might damage your motor. 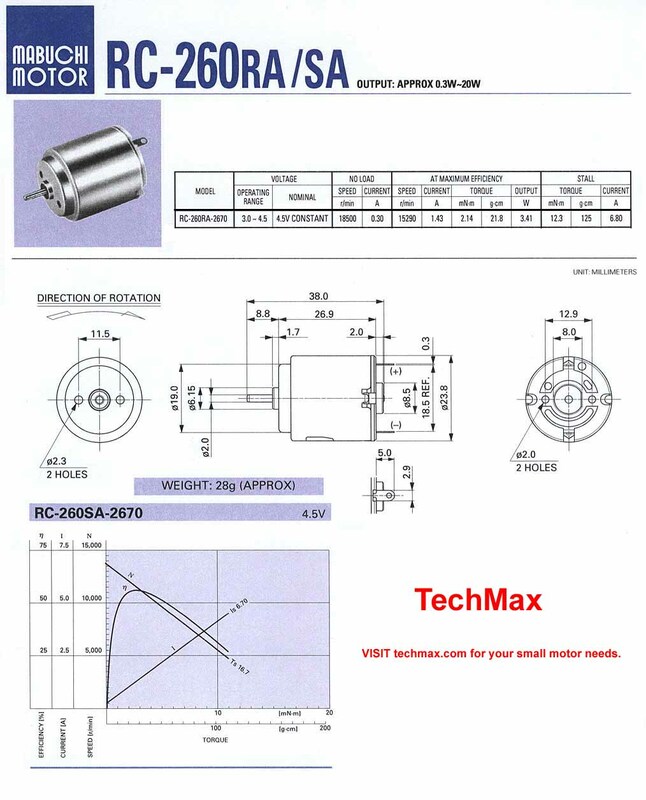 The reason for this is because standard DC motors will require a minimum amount of power to operate. At the graph in the bottom, you see that the motor speed (in RPM, symbol N), there's pretty much no way you're getting it down to 5-10RPM, unless you can change physics. Use some sort of physical restriction to slow it down (i.e. weights). This is bad. It could burn out your motor, and put a lot of stress on your power supply (if it's not mains), and even if it does work, you're going to be running very close to stall current for a long duration of time, which is wasting A LOT of power. As you mentioned 5-10 RPM, I advise to go for a small gear-set rather than any control circuit (I can't guarantee but it might not be possible at least for a low price). Gear-set will be inexpensive and will be easily available at robotics or hobby shop. How am I able to run a small dc motor with just a 9v battery? Is it bad to run a 1000rpm rated 12V DC motor at lower rpm? How does the current and voltage affect the torque and speed of a brushed motor?